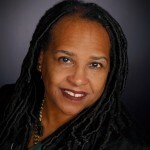 Ms. Rochelle A. Fortier Nwadibia, a California native, is an international attorney and former Missouri State Acting Chair, and Human Rights Commissioner of the Missouri Commission on Human Rights. Nwadibia is known for litigating the landmark case Mohamed v. Gonzales, 400 F.3d 785 (9th Cir. 2005) which was determined to be the leading case in the United States on Female Genital Mutilation by the Congressional Research Service. Ms. Nwadibia has over twenty years of experience as a human rights litigator, adviser, adjudicator and leader. A graduate of Skyline College, California State University - East Bay, Columbia University School of International Affairs in the City of New York, and Washington University School of Law Nwadibiapractices US immigration law and is based in San Francisco, California. This entry was posted in DACA, DAPA, Immigration Reform, News and tagged DACA, DAPA, dreamer, EXECUTIVE ACTION, immigration, immigration reform. Bookmark the permalink.